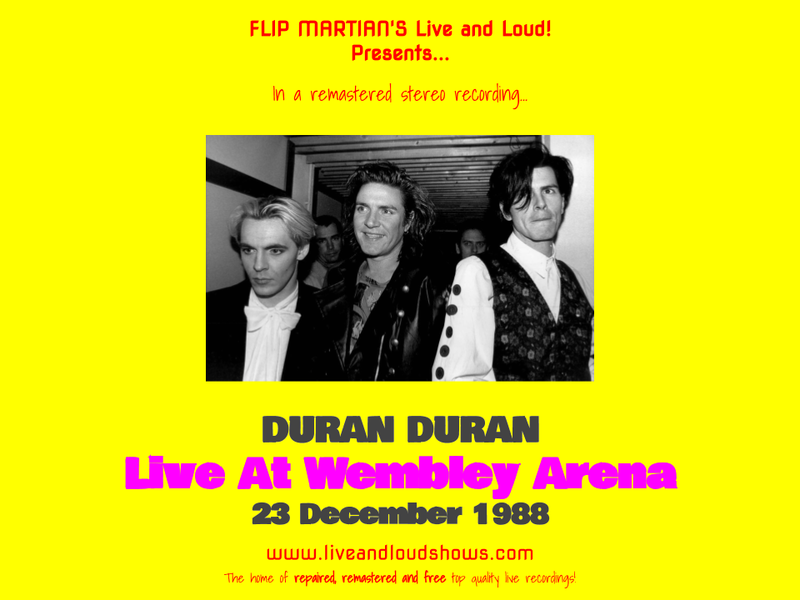 This was (as you will hear) originally a live FM broadcast on London's Capital Radio, recorded by a listener at the time.A digital copy was sent to me last year by a listener (and donater - thank you again!) to Live and Loud!. It was very thin and flat sounding, with little bass and not a lot of upper end either. The sound quality was variable in places too but overall - a great candidate for the Live and Loud! treatment. While there was only so much I could do with the variances in sound quality, the whole recording has benefited a lot from hiss reduction and a lot of time spent with the old 30 band EQ. What you hear now is a far clearer and better record of this gig, I think. The radio presenter talks through the whole show unfortunately (at the beginning, at the end of songs, at the end of the show) - and rather than try to edit all that out (which would mean losing chunks of music!) I've left it in; So for once, it really is like listening to the radio back in 1988, for this one! And with it being from 23 December, Xmas is only 2 days away, too. Bonus ;) Incidentally, the radio guy does mention Wild Boys being played before Drug - it wasn't in the recording I was given (guessing it was where the tape needed turning over, was incomplete and someone deleted it). You can download this improved recording for free here as one 320 kbps MP3 file. Or, if you would like to support the site with a very small donation towards storage and internet costs, in return you can have the show as separate, properly tagged MP3s, or even lossless files in FLAC format; head on over to the Donations tab to see how you can do this.